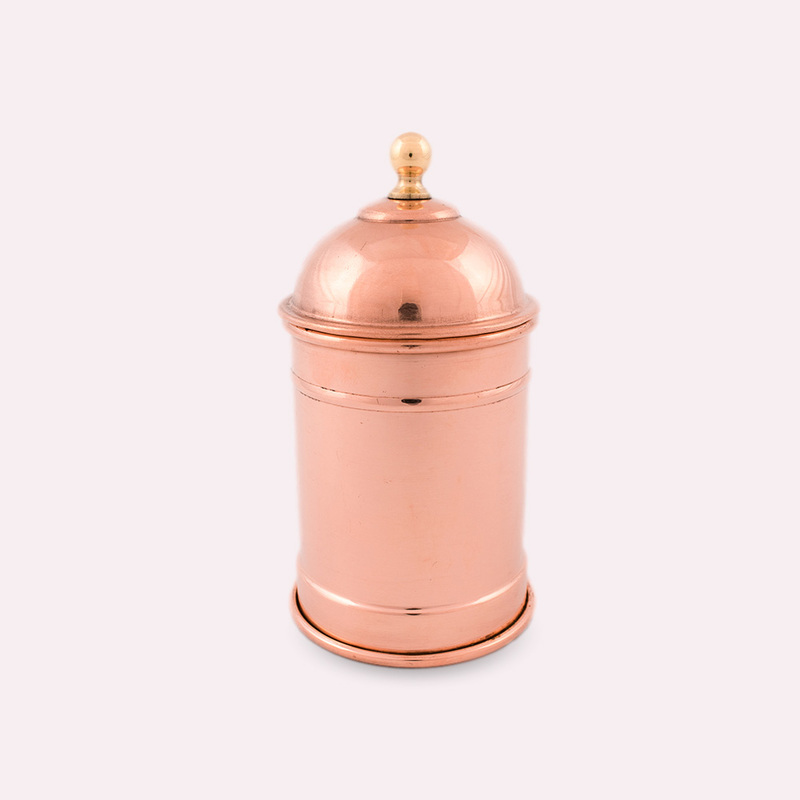 Our practical copper container/canister is ideal for storing smaller quantities of tea, coffee, spices, sugar or candies conveniently on your kitchen countertop, as well as making them available at the dinner table. 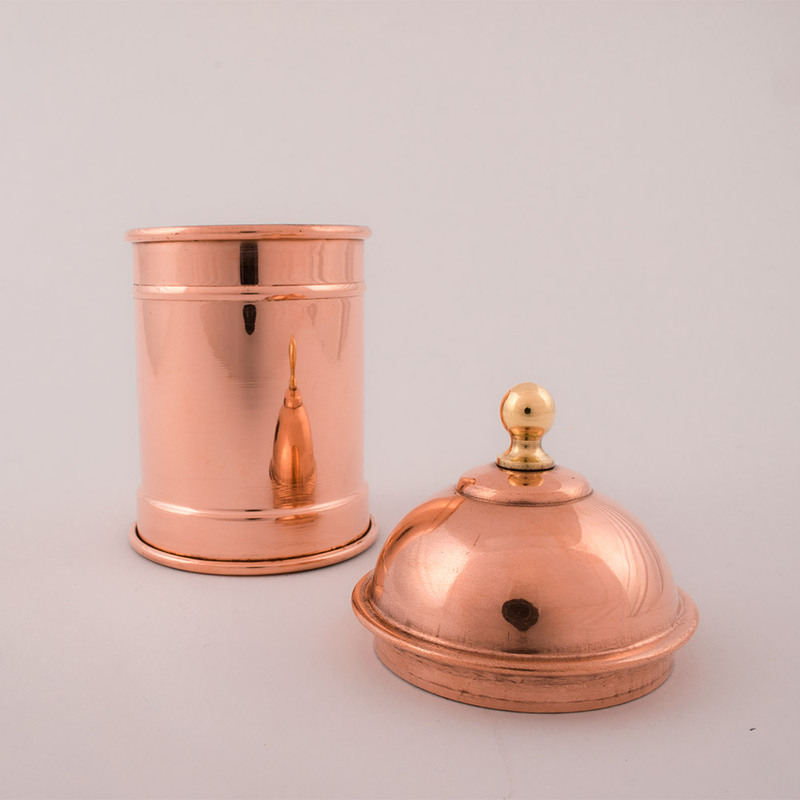 The entire design, as well as the bell, shaped lid perfectly complements our other products such as our oil cruet or butter keeper making this a fitting part of an ultimate kitchen collection. 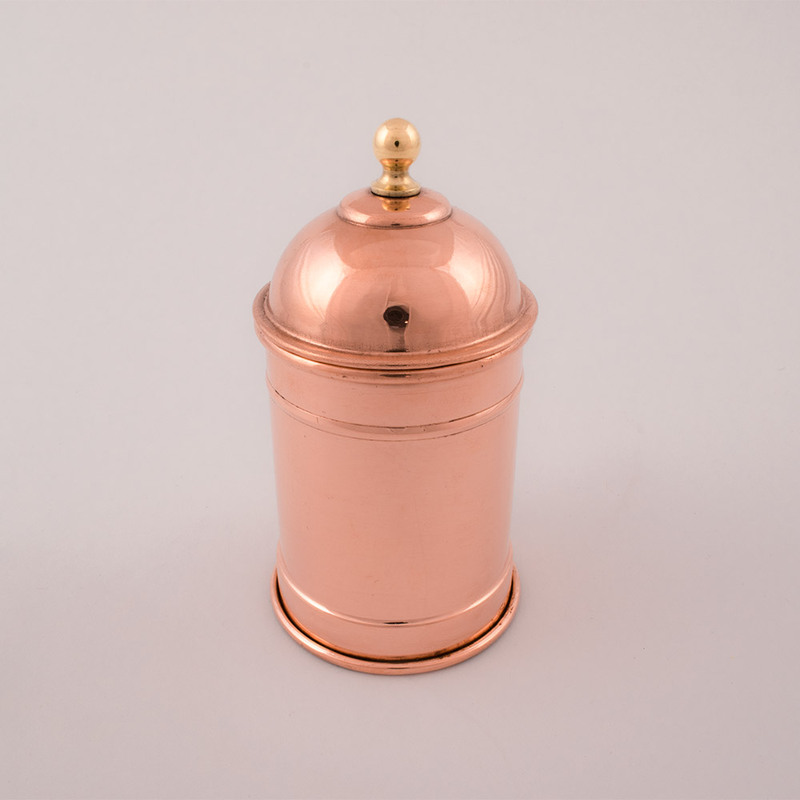 This copper container/canister can be used for all types of foods as the inside of the entire container, including the lid, is completely lined with a layer of 100% pure tin. 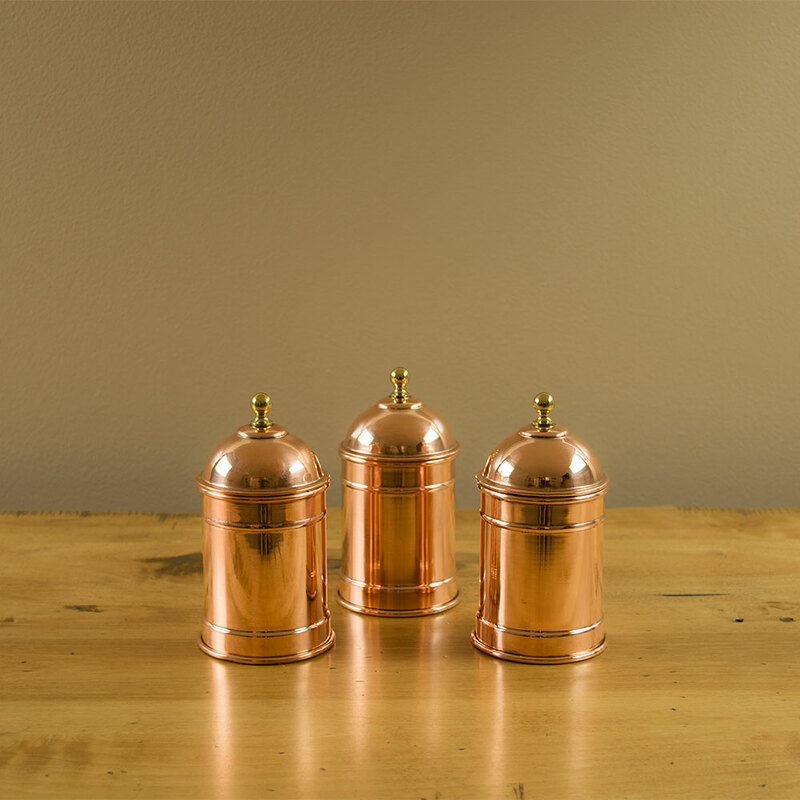 As all of our products, our copper cruets, as well as our butter keeper, are hand-crafted in the Navarini workshop in northern Italy. Constructed using several individual processes, the inside is completely protected with an even layer of 100% pure tin. 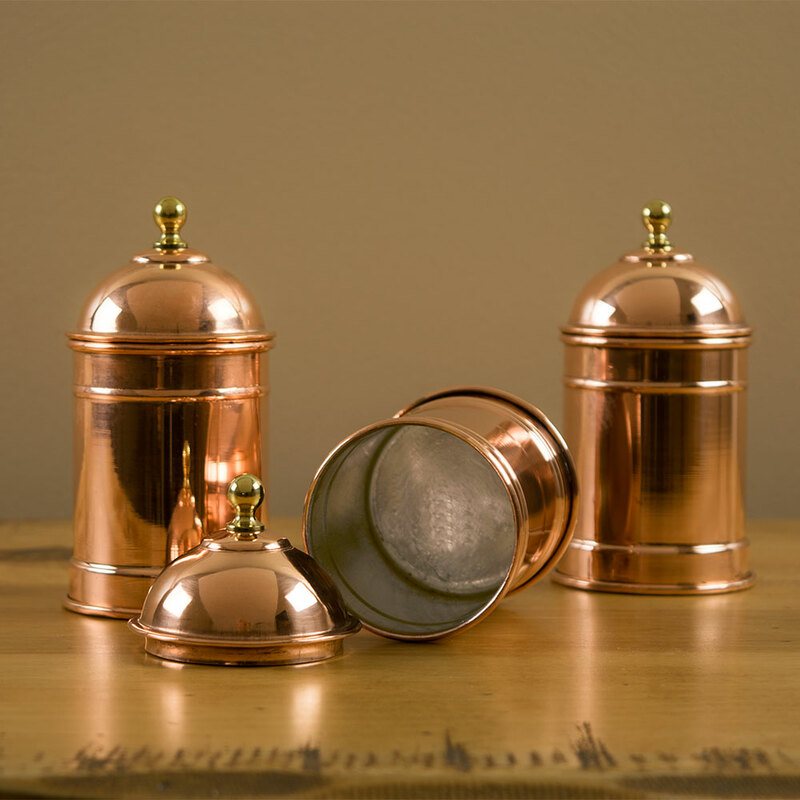 We only use high quality, 100% pure and non-reactive tin-lining for our copper products. Compared to other coating materials, our tin-lining can easily be renewed as often as desired and your cookware can be handed to the next generation. 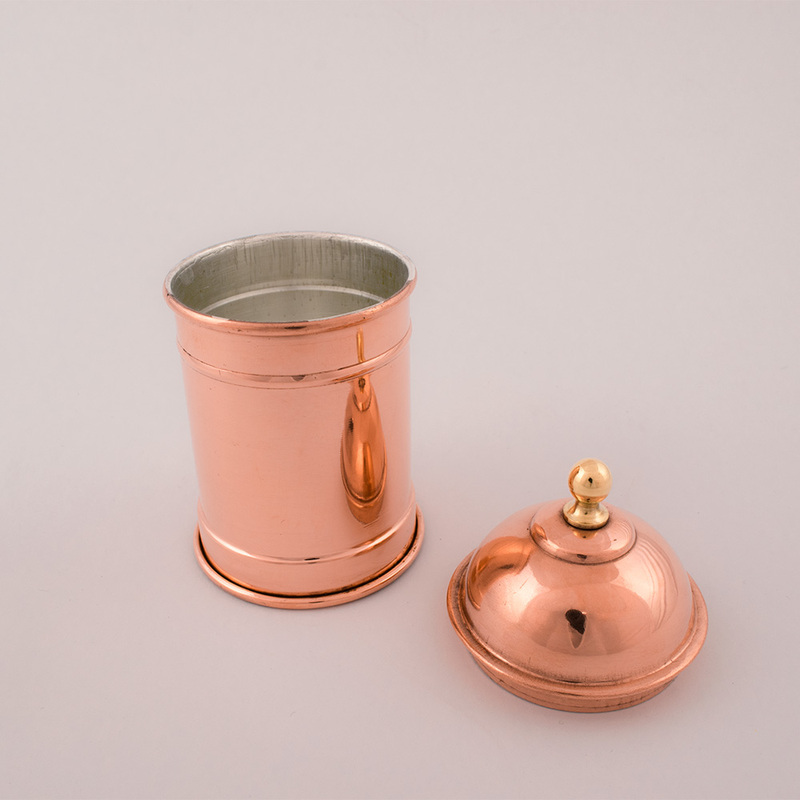 - ideal for storing smaller quantities of tea, coffee, spices, sugar, etc.